Berlin, 21 August 2017 – This year, the society conference will take place in the port cities of Dublin and Thessaloniki. It’s aim is to create spaces in which the digital community can come together, discuss, question and, of course, celebrate. 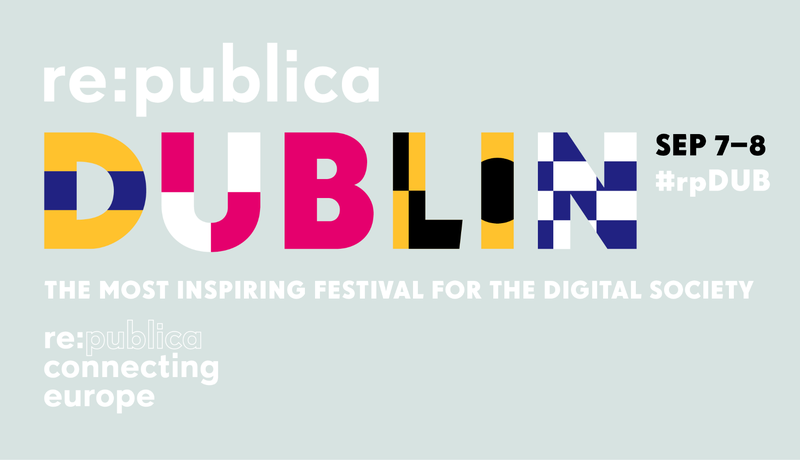 The first sessions are confirmed, they received over 90 submissions from their Call for Participation for both the second re:publica in Dublin (#rpDUB – 7-8 September 2017) and the first in Thessaloniki (#rpTHE – 11-13 September 2017). In accordance with the ‘re:connect EUROPE!’ motto, they will be taking a closer look at the different tools which can help us shape our shared future. Over 50 sessions from the programme for Dublin and Thessaloniki are already good-to-go. Topics range from media & journalism to gamification, data visualisation and refugee supporters to open data & cities. Curious about psychedelic experiences in the digital age, the European passport, how to build a future out of Lego, what the media landscape in Eastern Europe looks like, or what about digital rights in Turkey? All these issues will be highlighted at #rpEUROPE. “The digital society is global, but has many regional differences. We started the ‘re:connecting EUROPE’ project in order to track these various characteristics and dive deeper into their diversity. 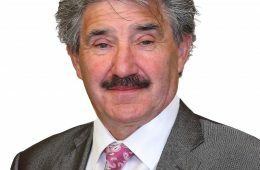 In this year’s editions in Dublin and Thessaloniki, we’ll be covering this European spectrum to engage in discussions about the digital zeitgeist and beyond!” stated Andreas Gebhard, Director and co-founder of re:publica. Among the speakers are both familiar and new faces: Besides journalists, scientists and filmmakers, we’ll also have artists, programmers and designers giving talks. Programme highlights include talks with activists Jillian York, Tanya Lokot and Treasa O’Brien, as well as Walter Palmetshofer and Dani Platsch, all speaking both in Dublin and Thessaloniki. #rpDUB – re:publica touches down in the Irish capital for the second time Today, Dublin offers a dynamic and productive environment – and not just for entrepreneurs. Topics under discussion from 7 to 8 September range from the housing crisis in Ireland – which has been an integral feature of the programme since the round table – to the question of what datadriven determinism can contribute to political debate; from the discussion about the future of Twitter (#BuyTwitter) to how digital news and media coops could succeed where other start-up models have failed. #rpTHE – re:publica heads to the Greek port city for the first time. The creative atmosphere and pioneering spirit can be felt throughout Thessaloniki. The programme on offer from 11 to 13 September includes re:boat – our sailing boat-based programme – and the cooperation with the Greek Reworks Agora Festival, as well as the chance to meet local start-ups, learn creative coding, a discussion on open data & smart cities, all the way to walk through the 2,300-year history of the port city with “Resilient Thessaloniki”. They have more surprises in store, including side events and the party programme. The complete programme for Thessaloniki and Dublin goes online tomorrow, the 22 August. ‚ More information on the programme can be found here: re-publica.com/en/eu17/sessions. Tickets and general information on re:publica and re:connecting EUROPE at: re-publica.com. About re:publica: re:publica is the most exciting conference about the internet and digital culture in Europe. Since the first edition in 2007 – a blogger get-together that counted 700 visitors – re:publica has grown into a multifaceted society conference with over 9,000 participants visiting the event from around the world. The unique atmosphere is a result of the distinctive mix of activists, scientists, hackers, entrepreneurs, NGOs, journalists, bloggers, and social media and marketing experts.? x In 2016, re:publica successfully took its concept abroad. This year features a further European edition: Following the second #rpDUB on 7 and 8 September, the conference heads south for the first re:publica in Thessaloniki from 11 to 13 September. x The shareholders of republica GmbH, newthinking communications and Spreeblick Verlag, have now been active in the field of net politics, digital culture and society for over a decade.